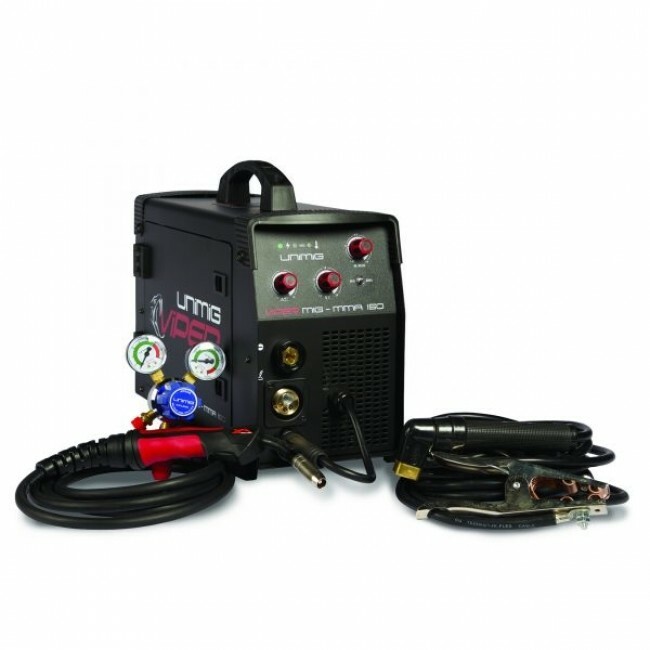 Single-Phase 150amp MIG-MMA Gas-Gasless Inverter Welder with 10amp plug. 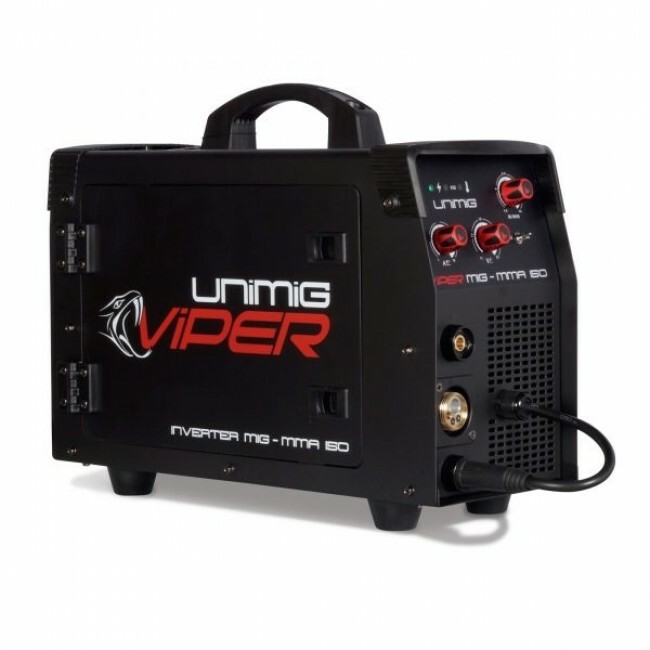 UniMig has taken the evolution of affordable but high quality inverter welder technology to another level with the Viper MIG 150. 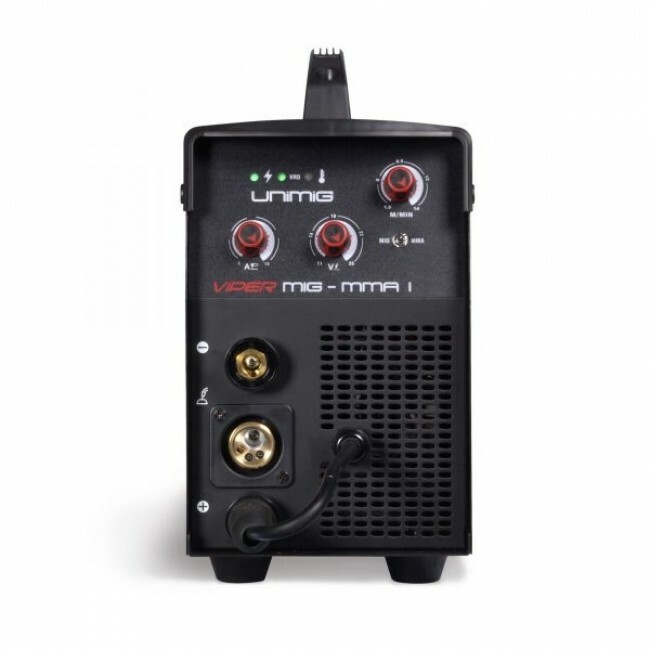 This machine is the first MIG multi process Inverter Welder from a A-Class Australian wholesaler to retail for under $500, and we expect it to out the squeeze on low quality budget brands. The Viper MIG 150 is back by UniMig extensive aftersales parts and service back team, meaning there is simply no reason to consider cheap eBay brands for the cost conscious buyer. The machine features Jasic's weld renowened IGBT Inverter technology. It is Gas-Gasless and comes with regulators, gas hoses, fittings and drive rollers, meaning you are ready to weld with or without Gas. In MIG, Easy step-less adjustment of voltage and wire feed make for easy setting of welding parameters giving excellent welding results. Wire Inch gives easy feeding of the wire during set up without gas wastage and the Burn Back adjustment leaves the wire out ready for the next weld. In Stick (MMA) welding capability delivers easy electrode welding with high quality results, including cast Iron and stainless. The Machine is single phase 240v and is fitted with a 10amp plug. Meaning you can plug it straight into any household domestic power point. 18 months warranty is available when registered on line with Unimig. Good welder for the price, bonus having mig and arc in the one unit.